Incredible Opportunity To Move Into Oyster Bay Cove! 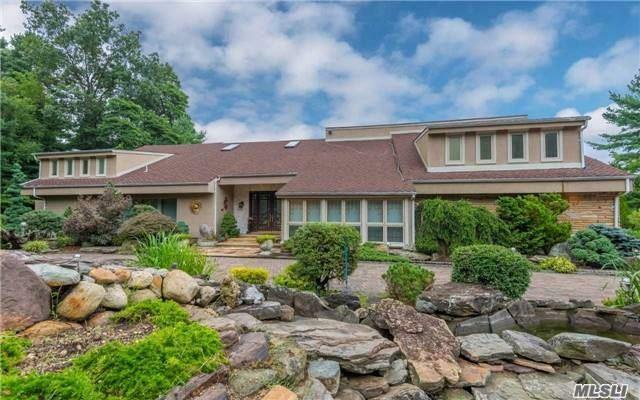 Sun Filled Unique Contemporary Set On Over 2 Custom Designed Acres With Stone Waterfall. 6 Bed/5 Bth, Flr, Fdr, Gourmet Kitchen, Master On The First Floor, Den, Rec Room, Sauna. Entertain All Summer Long With An Ig Gunite Pool, Jacuzzi, Outside Kitchen With Beautiful Stone Terraces And Gated Entrance. Assessed Value $3,000,000! Taxes Being Grieved Substantially. Basement Description: Gym, Rec Rm, Wine Cellar, Bath.